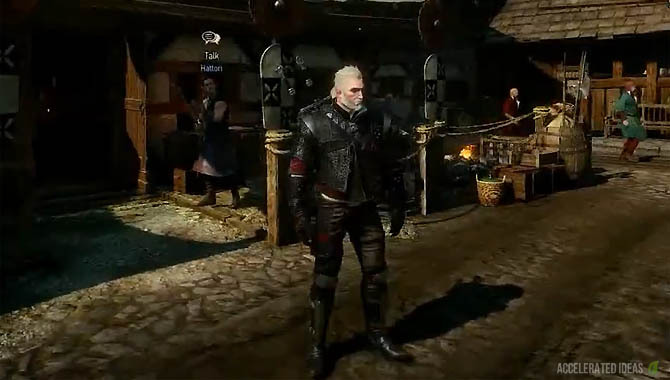 As part of week 5's DLC for the Witcher 3, we now have a new Scavenger Hunt for the Wolf School Gear. In this walkthrough I'll be covering the exact locations for each of the Wolf School diagrams (and weapons) but also the locations for the Enhanced and Superior upgrades as well. Before we start, there's one thing that players need to note. As with normal Scavenger Hunts, there are purchasable maps that reveal the starting location for each of the treasure hunts. Players can if they want to; purchase these maps from the merchant's shown below. Part 1 and Part 5 - blacksmith Hatori in Novigrad. Part 2 - blacksmith in Lindenvale. 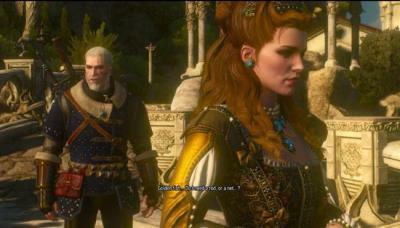 Part 4 - armorer in Hierarch Square in Novigrad. Note: Because merchants tend to disappear at the end of the game, those who completed the story have two choices: either go straight for the diagrams using the guide below OR reload an older save, buy the maps and mark the locations for the treasure hunts first. Lower level players who haven't completed the main story will have no problem finding the merchants and buying the maps so long as they've unlocked Novigrad and Skellige. Here's a quick screenshot, showing off the stats for the Mastercrafted Wolven gear. As you can see the armour is classified as Medium armour, putting it on par with Griffin. However, the level requirements ensure that the Wolven gear is thus far the best in the game. Head straight to Kaer Morhen and travel south west towards the old signal tower, deep in the woods. Walk through the ruined entrance and venture to the back of the ruins where you'll see a ladder leading up to the second level of the tower. Climb and look immediately on your right for the chest which contains notes that you should read. This will "kick start" the Scavenger Quest and sub quests will appear. Now use your witcher senses inside the tower to hunt for the blue crystals (power cells). The first is on the wall at the back of the ruins, and the second is hidden round the side, close to a very steep fall. Pick up the second and place it on the opposite wall to the first crystal. Then use Aard on each of them (x 2) to finally activate the portal. Now run and jump into the portal to be teleported to a small cave. Tip: If you find that you can't pick up the second crystal because the Take/Pickup action doesn't appear, then save and reload your game. That should fix the annoying bug! Now fight off the couple of Level 23 wraiths and you'll find the diagrams for the armour set inside a chest. Not too far west of Kaer Morhen you'll see the ruins of Bastion. Head into the ruins and search the north western area for the Wolven Silver Sword diagram. Simply use your Witcher senses to spot the telltale sparkling red glow. To the north of Kaer Morhen lies the Ruined Watchtower. It's quite a trek from the confines of Kaer Morhen itself so be prepared for a horse ride to get there. As soon as you step inside the ruins, a Level 23 wraith will spawn on the steps so be ready to fight him off. In the same place the wraith spawned you'll see a dead body - loot this body to collect the Silver Sword diagram. Travel to Crow's Perch and find the well entrance to the north west of the compound. Use the ladder to carefully descend into the underground area and make your way to the far northern end of the cave. Here you will find the Silver Sword diagram. South of Oxenfurt, on the eastern edge of the Velen mainland you'll find the Grotto. Head into this cave area and follow the left tunnel route. Stick to the right hand side wall and follow the path until you start to do a 180, it's at this point that you'll find the Boots diagram. In the far south of Velen there's a small island called Fyje Isle, where you helped Keira on one of her quests. To the south west of this island there's hidden underwater treasure . See the image above for the exact location and look out for the stone ruins protruding from the water surface. Dive deep on the eastern side of the ruins to find the enhanced Wolven Armour diagram. Head to Kaer Morhen and take the path leading south, cross the river and travel into the baron wasteland shown on the map above. There's a cave entrance here. Follow the caves tunnel as it leads round into the large cavern at the end. Not far inside the large area you'll find the Enhanced Wolven Gauntlets. It's back to the Ruined Watchtower for the enhanced version of the Steel Sword. For the exact location, head to the back of the ruin and take the path leading to the upper level, then walk towards the sign post on the mini-map to locate the chest. It's Kaer Morhen again for this one. Travel north of the Witcher fortress, towards the Lakeside Hut. Then swim across the lake and turn slightly east towards the little island. There's a map marker for a boat, it's right next to this marker that you'll find the diagram; slightly submerged underwater but still visible. Now that you've conquered the basic and enhanced versions it's up to you if you want to progress on to Superior and Mastercrafted. Unlike the basic and enhanced versions, you will encounter more enemies for these higher level diagrams. In the south western area of the main Skellige island there's a ruin not far from Fyresdal and on the other side of the mountain from Kaer Muire. The nearest signpost would be Fyresdal, so head south west from this location until you reach the marker shown on the map above. The Superior Armour diagram is easy to find on the upper level of the fort ruins, roughly south side. Fast travel to Arinbjorn on the western side of the main Skellige island. From here travel southeast to the ruins, in particular the western circular ruin. Enter the ruin entrance and go underground to find the Superior Wolven Silver Sword right in front of you. To the east of the main Skellige island there's another smaller island, where you'll find the fast travel locations for Lorthen and Larvik. Head to the western side of this island and explore the ruins. Hop down into the large hole and venture slightly underground until you see the bright yellow poisonous clouds. It's in here that you'll find the Wolven Steel Sword diagram. Fast travel to Kaer Morhen and use Roach to travel south and west of the river to the Iron Mine. It's a short walk west of this location to reach the Iron Mines entrance. Follow the cave tunnel leading into the large area where you'll meet a Level 30 Earth Elemental. Finish him off using whatever means necessary and check the right hand side wall for the Superior Wolven Gauntlets. From Kaer Morhen, follow the river to the east, leading eventually to the location shown on the map above. Venture inside the cave and follow the path round to the right and into the much large cavern. You'll be surprised by some low level Endrega Warriors but they shouldn't cause you too much of a problem. Now explore the western side of this large area until you see the familiar pointy rocks. Use Aard to break through and the Superior Wolven Boots are hidden just beyond. From Kaer Morhen, take the only north western path leading to the cave entrance. Follow the tunnel, fighting off the Endrega Warriors along the way. Right at the back of the cave you'll find many items to loot but the diagram is hidden on a small upper level platform which you can find by hugging the left hand side wall as you venture into the final area of the cave. By now you've got a good taste for the Wolf School gear but rather than spell out the remaining diagrams, I'll tell you the exact location for the final treasure map for the Mastercrafted Wolven gear. Simply head to the main Skellige island and visit the armourer at Kaer Trolde. He's located just outside of the bridge section linking the two locations of Kaer Trolde. Purchase the map, read it and Part 6 of the Mastercrafted Scavenger Hunt will be available.